My primary research interests are in the fields of satellite microwave radiometry and spaceborne radar remote sensing, with particular emphasis on the estimation of precipitation and latent heating distributions. Dr. William Olson received an AB in Physics from Cornell University in 1978 and a Ph.D. in Meteorology from the University of Wisconsin, Madison in 1987. The primary focus of his research activities has been in the field of satellite microwave radiometry, with particular emphasis on the remote sensing of precipitation and latent heating distributions. In 1987 he developed the first minimum variance approach for the physical retrieval of rain distributions from satellite microwave data. He later designed, with Dr. William Raymond, a method for assimilating latent heating estimates from SSM/I into numerical weather prediction model forecasts, and more recently collaborated with scientists at NCEP and NASA to assimilate precipitation and latent heating distributions into global models. 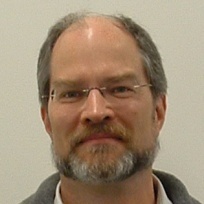 Dr. Olson’s current work involves the adaptation of cloud microphysics/ radiative models for simulating spaceborne passive microwave, radar, and infrared observations in support of TRMM and GPM mission research. Grecu, M., and W. S. Olson, 2008: Retrievals from combined airborne cloud radar and millimeter wave radiometer observations. J. Appl. Meteor. and Climatol., 47, 1634-1650.